Our Zinfandel has dark ruby red color with supple, mouth filling tannins that offer lively acid structure and an elegant balance. Classic currant, plum and sweet oak aromas lead to ripe berries, cherry, and spicy flavors with a long, sweet and juicy finish. 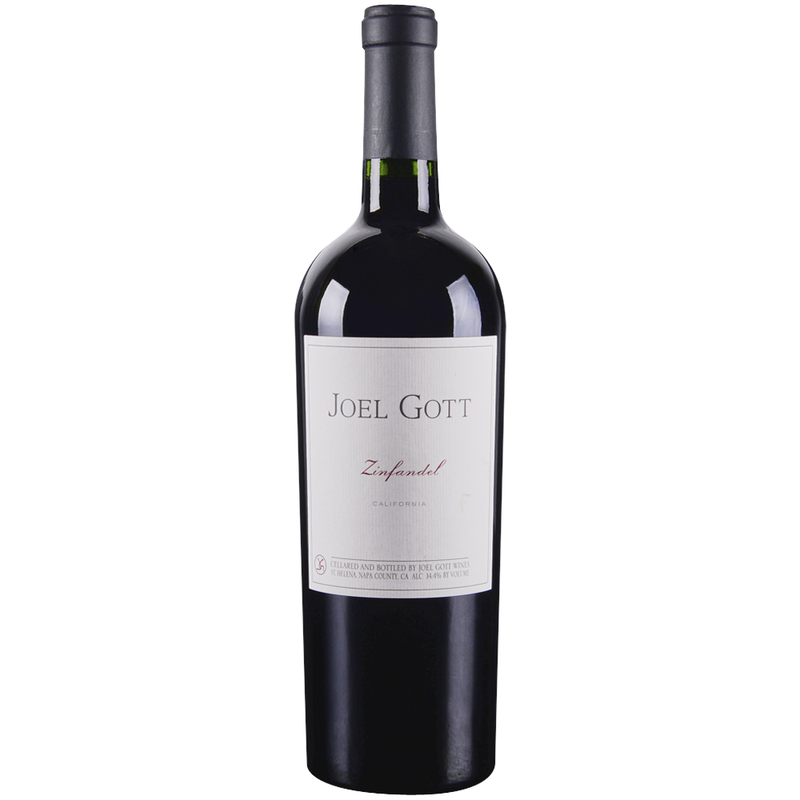 Joel Gott has an uncanny blending ability; he has privileged access to many of the best and as yet undiscovered fruit sources in California. His wines are therefore remarkable values with good structure and excellent balance. Joel Gott is among the hottest rising stars in California winemaking.